Ben Davis was prepared for disaster. He just didnâ€™t know it would come so soon. He and his teenage son, Joel, are miles deep in the backcountry of the San Juan Mountains when high-altitude nuclear electromagnetic detonations light up the pre-dawn sky. Ben, Joel, and their dog, Gunner, must make their way home â€“ or to whateverâ€™s left of it â€“ on foot. Without the ability to communicate with his ex-wife in Maryland, Ben has no idea if Joelâ€™s brother and sister are okay. The two decide they have no options but to head East. Before their journey begins, they venture into town to check Benâ€™s outdoor store for supplies and discover one of Joelâ€™s classmates, Allie, alone and in desperate need of help. When Ben realizes Allieâ€™s flight attendant mother is most likely dead and her father lives in Pittsburgh, he knows he has to take her with them. 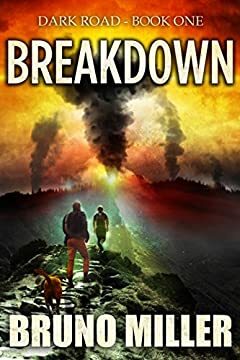 Ben must use the skills he learned as an Army Ranger many years ago to survive the post-apocalyptic world they now live in. Can he keep himself and two teenagers safe as they navigate the dark and dangerous road ahead?